Alice Childress Memorial Plaque in its new home. Determined efforts by RIOC's community liaison Erica Spencer-El were rewarded yesterday, June 27th, when a small crowd gathered to observe the unveiling of a plaque honoring Alice Childress, a remarkable woman who was an African American literary and Roosevelt Island pioneer. Alice Childress was one of the first to make a home on Roosevelt Island after it was reimagined as the "City of Tomorrow" and buildings began going up. 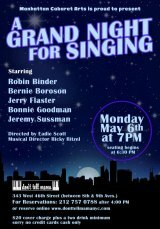 Writer, director, actor Mike Rogers recalled crossing the Roosevelt Island Bridge to visit her in Westview even before the Tram started lifting travelers to and from Second Avenue. A literary giant, Childress acted as his mentor. Although Childress shared her insights with him, Rogers most remembers, "She was so very kind." Rogers anchored four speakers who told the crowd what Alice Childress means to them. Appropriately, Erica Spencer-El followed RIOC President and CEO Susan Rosenthal's introduction, explaining the significance of plays and books written by Childress. Without Spencer-El's energetic devotion to the project, and Rosenthal's backing, the event could not have happened. Alice Childress lived in Westview for two decades, starting the first Roosevelt Island Library, during the time of some of her greatest recognition. In 1979, she was nominated for a Pulitzer Prize, and through the 1980s, she wrote musical plays with her husband Nathan Woodard. In 1989, a writer interested in publishing an anthology of Childress's plays sat down with her in her Westview apartment and found her so rich with stories about them that they could only work their way through four of the plays in an afternoon. "She was very funny," Rogers told listeners at the ceremony, and I could only think how great it might have been to be a fly on the wall with Alice Childress's anecdotes filling the room. 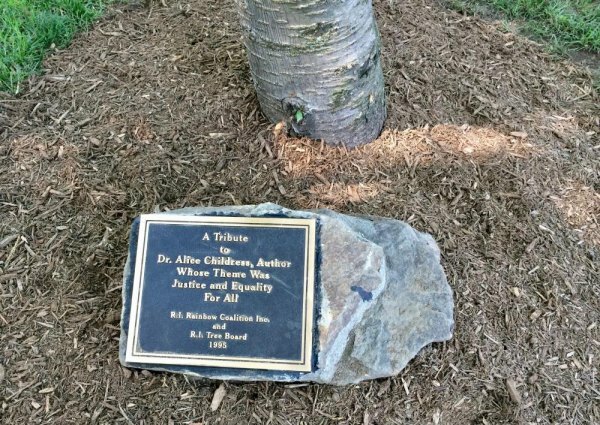 Alice Childress died in 1994, and the next year, the Roosevelt Island Rainbow Coalition and the Tree Board planted a magnolia tree that grew alongside the plaque placed as a memorial. Time was kind for a while, although the backyard of a public school probably wasn't the best place. The magnolia grew. But then, construction on the school brought scaffolding that deprived the magnolia of sunlight. It became ill and had to be removed. A second tree, although protected somewhat by a low stone barrier constructed by the school's custodial staff, met a worse fate, destroyed by vandals within a couple of years. Now an orphan, the plaque got little attention until Rogers, fulfilling a commitment to his mentor (and hero), sent The Daily a request that we find out what happened and what the future had in store. Concerns escalated when the school began using their yard for extra parking. Muddy ruts were dug all around the memorial. That's when Spencer-El stepped in, rescuing the plaque and overseeing its restoration to the condition in which we see it today. At the close of the ceremony, a bright red cover was peeled back to reveal Alice Childress's memorial in its new home in the shade of a mature, healthy cheery tree. People enjoying the pleasures of the Steps, out for walks with their dogs or on daily commutes will now be reminded of Roosevelt Island's Alice Childress, a pioneer and African American literary giant.